On Saturday, August 1, the Active Transportation Alliance hosted Open Streets, closing eight miles of roads to cars and opening them to pedestrians. I checked it out around the Green Line. There were recreational activities set up and kids seemed to be enjoying this big jumpy thing. When I headed back to the El station, these volunteers stopped me and asked me to fill out a survey. I felt I was a pretty ideal survey candidate since I'm a ciclovía activist. They were nice and let me take a copy of the survey. The tone of the event matched that of Bogotá's ciclovía, where wet streets do not necessarily fill with people but there is a steady stream of users passing through. It made me think about the difficulties of introducing the ciclovía concept to Americans because it's not a street fair or a parade (though those things could be contained within a ciclovía). 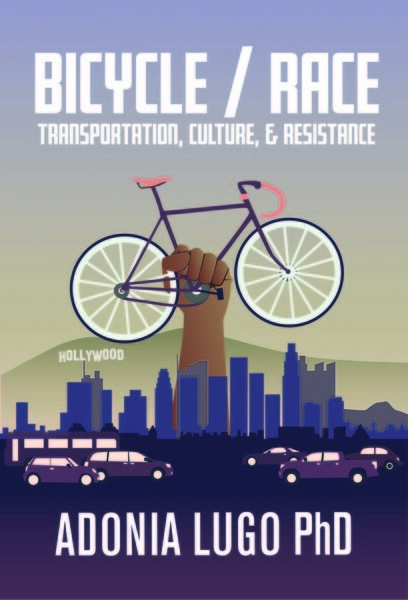 The closest we've been able to get with our descriptions of cicLAvia is that the closures create a linear park and make better connections between popular destinations. I wonder how many people came out for Open Streets this time around.